That last one is not true (maybe), but I do have an additional one that is. I wrote a book. For the last two years, I’ve been working away on a book project—carving out time at night, in the mornings, and during whatever small moments I could spare on the weekends. It’s one of the most difficult things I have ever done, but there were so many people who supported me along the way. Now, after all the toil, sweat, and literal tears, I’m excited to announce that my first full-length book is being completed as we speak. It just approved the final manuscript, and it’s only a matter of time before it exits its literary birth canal. 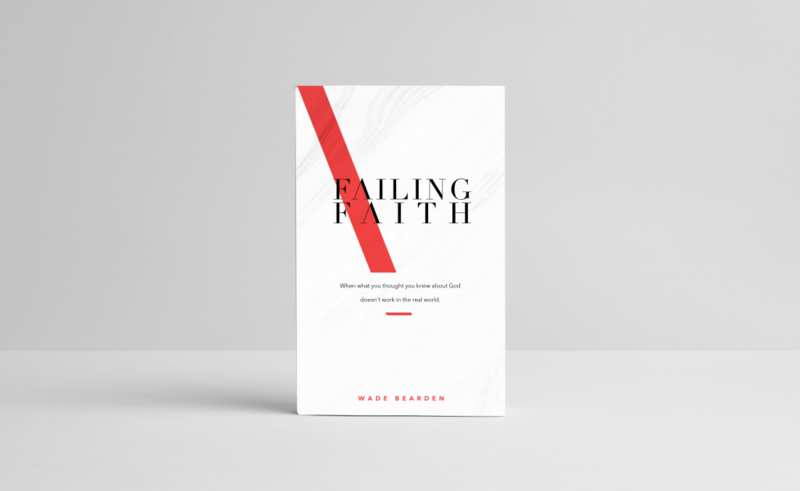 The title is: Failing Faith: When What You Thought You Knew about God Doesn’t Work in the Real World. To say this book is personal to me would be an understatement. The last few years have changed my faith in unexpected ways. You see, I thought I had faith figured out. I grew up in church, read through the entire Bible by age ten, and even did puppet shows to positive Christian music. As a young adult, I became a pastor and taught theology classes at a local university. But after watching friends die, losing two jobs, and seeing my own father diagnosed with cancer, I found my faith failing. Eventually, I realized that my ideas about God were far too comfortable. They were good excuses to be safe and affluent, but not anything that could stand up to disappointment and suffering. Somehow, along the way, I had traded an ancient, powerful Christianity for a Christianity made in the image of success and well-being. In Failing Faith, I use humor and stories of personal pain to detail my journey to recapture what disappeared—my journey to find a richer, more meaningful faith that bears the weight of depression, loss, and even comfort. Anyone whose faith was crushed by the real world. Anyone trying to reconcile a loving God in the midst of sadness. Anyone looking for a faith that finds its roots in Jesus rather than the American dream. This project may sound super serious—and it is in many ways—but I try to be myself throughout the journey. Goofy, (hopefully) humorous, honest, and (I pray) biblical. 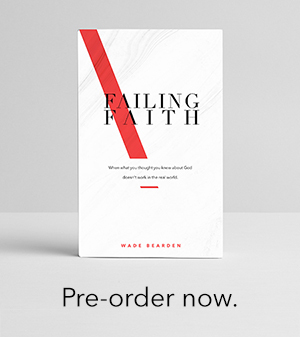 I’ll be sharing more about Failing Faith over the next two months, but I’m excited to announce that you can now order it here on my site. Later, it’ll be available on Amazon, but if you purchase now, you’ll be one of the first to receive a copy. Also, I’ll be donating 10% of my pre-sale proceeds to Convoy of Hope—a faith-based humanitarian organization. I love Convoy of Hope’s mission, and they are doing good work to help those affected by Harvey, Irma, and the terrible famine in West Africa. Thank you for all of your support over the years. 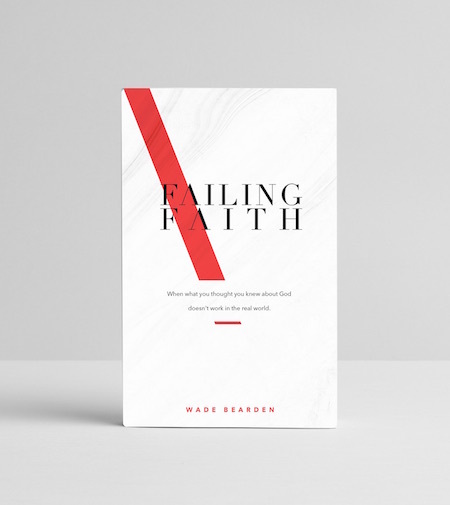 Excited to get the message of Failing Faith out. Order the print book here.